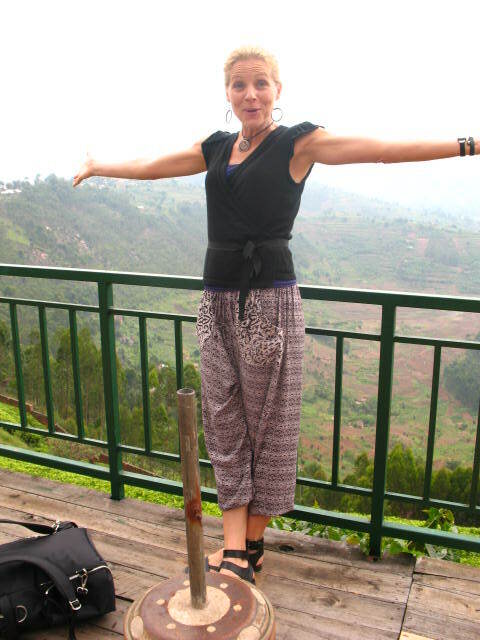 Me visiting a 1,000 hectare organic tea farm on a mountaintop on Rwanda, March 2015. Did you just say “You can’t have it all!”? Not true. That’s your story. Let’s break it down. First, what is “it”? For many, it is a successful career, plenty of money, a loving relationship, a peaceful home life, good health, a community of supportive friends and colleagues, joy, youth, opportunities for advancement and personal growth…on and on. The list is pretty similar for most people in the world and it is human nature to want more. Let’s get specific though. What does a successful career look like to you? What is “plenty” of money? What does “peaceful” mean? How do you know you are living in a state of joy? This is the nuts and bolts of realizing your true desires and manifesting the vision you have for your future. Most people don’t get this far and they don’t get crystal clear with what “it” is. Start there. After you have “it” engraved in your mind’s eye, decide what matters most and who matters most. Identify your tribe and (re)create your story. What do you stand for and where are you going? Once you answer these questions it is only a matter of divine time that you will be swimming in the pool of all that “it” represents to you and with the support of your tribe and inspirational, positive mentors you will have figured out how to integrate all of it into a full and peaceful existence; one that fulfills that which is most important to you and without fear of having to give up one thing in order to have another. Forget about balance. Seek out integration and affirm that there is plenty of time and space to enjoy life while pursuing that which makes your heart sing and with those whom you are madly in love.